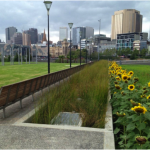 Melbourne is one of the world’s most liveable cities – with parks, gardens, green spaces and tree-lined streets contributing enormously to this status. 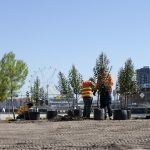 However, more than a decade of drought, severe water restrictions and periods of extreme heat, combined with an ageing tree stock and urban growth means the trees and open spaces are under threat. 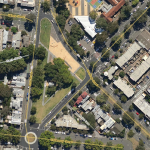 To address this, the City plans to double tree canopy cover to 40% by 2040 and reduce city temperature’s by up to 4 degrees to create a healthier and cooler landscape. 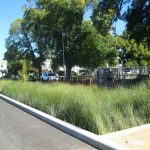 Pioneering projects such as the world-first in-road stormwater harvesting scheme contribute to the City’s expanding stormwater harvesting network, which currently provides a quarter of their landscape water needs. 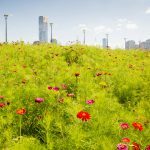 Research is underway to understand how green roofs and walls on city buildings can also contribute. These projects help protect against future vulnerability and improve the health of the environment and the community.